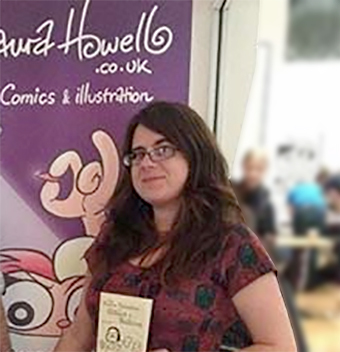 Unbelievably, Laura Howell is the first female artist to have worked on The Beano comic, and has drawn classic characters such as Billy the Cat and Minnie the Minx, as well as new strips including Johnny Bean and Les Pretend. She also creates her own self published comics, with her manga-style Bizarre Adventures of Gilbert and Sullivan being recently collected as a book by Soaring Penguin Press. This entry was posted on September 24, 2015 by captionfestival in Uncategorized.